Real estate market like all other sectors is greatly affected by the health of the economy. As elections are around the corner, results thereof will definitely impact property prices. A stable government is most likely to impact the real estate market positively. A lot will also depend on the policies of the new government the impact of which will be clear in second half of 2014. 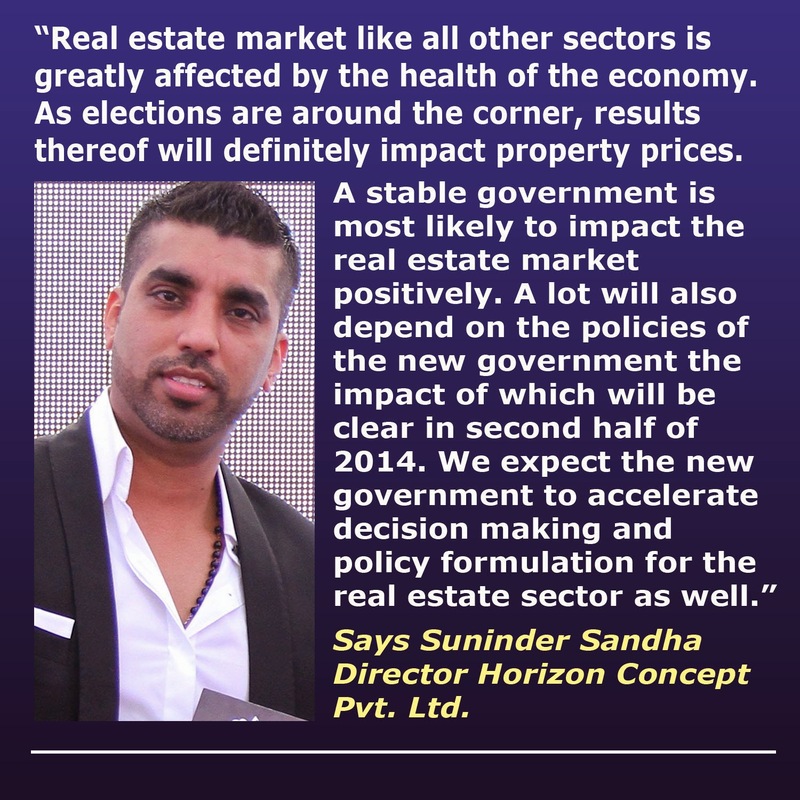 We expect the new government to accelerate decision making and policy formulation for the real estate sector as well.” Says Suninder Sandha, Director Horizon Concept Pvt. Ltd.